Ranked Match will be activated after the player has reached certain level and has enough amount of heroes. In the interests of fairness, the system will preferentially match you with users of similar ranking - one above or below you, at most - when your team enters a Ranked Match. Teams of two will only be matched against teams of two and teams of five only against teams of five. In a season, which will continue for several months, players will be promoted or demoted in their ranking through their involvement in Ranked Matches. A tally will be taken after the end of the season to demonstrate each person's capabilities over the course of the season. The Rankings are, bottom to top: Bronze, Silver, Gold, Platinum, Diamond and Conquerors. The Rankings from the previous season will directly impact the initial Rankings for the next season, but with a few adjustments. Those players ranked higher will have a higher initial Ranking. Rankings not only highlight players’ levels in the game, but also provide a lot of gems or even special Skins as rewards that correspond to the level they reached at the conclusion of each season. 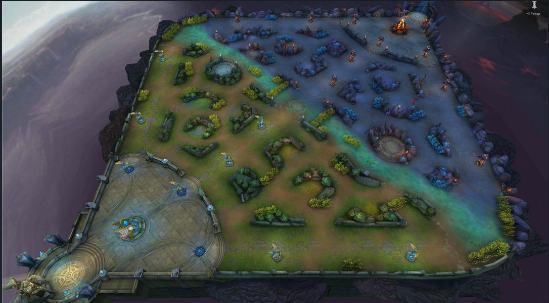 The map of ranked match is identical to those in the 5V5 Mode. Should you have any questions regarding the map or on playing techniques, then why not go and review the previous Introduction of 5v5 mode? The Ranked Mode is the primary means by which players test their skills against each other. 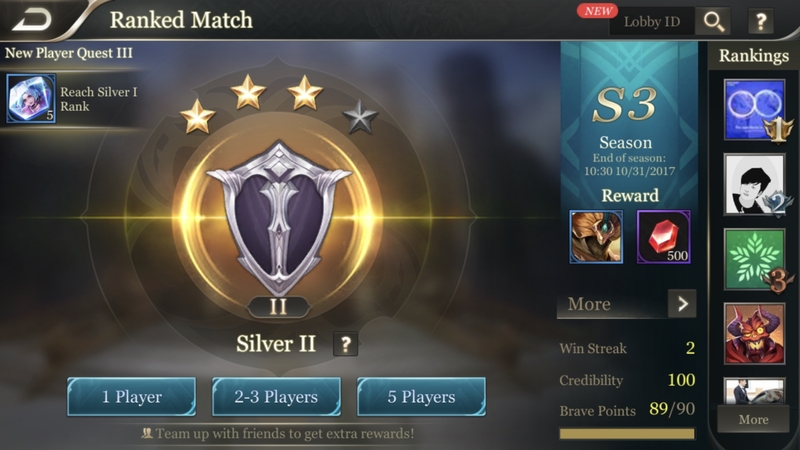 In comparison to the traditional 5V5 Mode, Ranked Matches have a more competitive edge, as they allow challengers to boost their abilities in one tense battle after another and attain glory in the field.